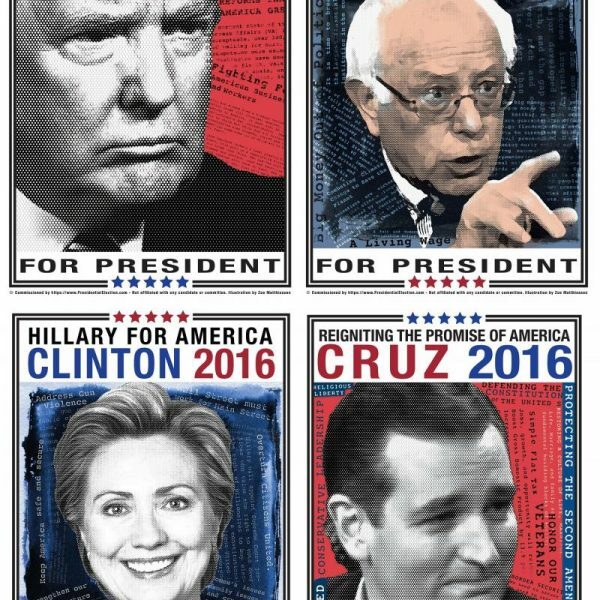 2016 President Campaign Poster Set of 4 featuring Donald Trump, Bernie Sanders, Hillary Clinton, and Ted Cruz. 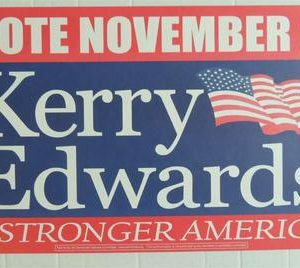 These posters were meticulously created with fine detail that is matched by no other campaign poster. 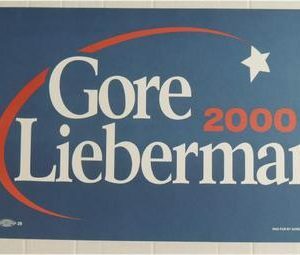 Commissioned by PresidentialElection.com and designed by artist Zoe Matthiessen, these highly-charged and informative campaign posters measure 18″ X 24″ and is printed in color, on 100# paper with a high gloss finish for exceptional quality. All 4 posters ship rolled in a secure mailing tube. 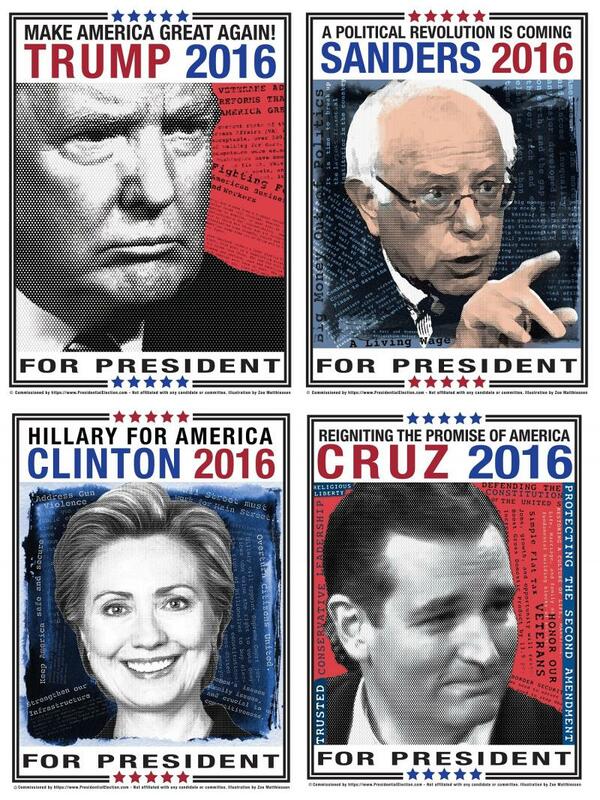 Our posters are printed in the USA. 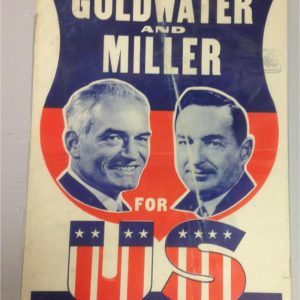 After this year, these posters will become authentic vendor collectors’ items because their production will be limited to the 2016 election year.